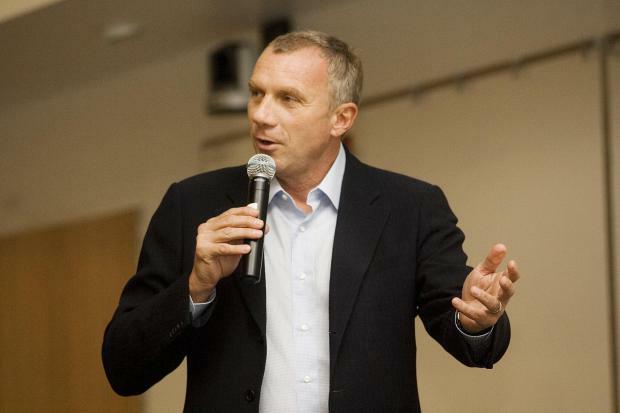 Four-Time Super Bowl Champion Joe Montana speaks to an audience. Athlete Speakers works with corporations, universities, faith based groups, charities and other organizations to find the perfect sports speaker for their event. Why Consider an Athlete for your Speaking Engagement? Booking a professional athlete or coach for a speaking engagement can be a great way to get unique perspectives and hear their stories. Speakers from the sports world most commonly address topics like leadership, motivation, overcoming obstacles, achieving goals, teamwork and more. Many athletes also have their own platforms that they specifically address. Athlete Speakers can align you with sports celebrities who are Christian/faith based speakers, LGBTQ speakers, cancer survivors, diversity speakers, health and fitness speakers, substance abuse speakers and other important topics. Why Book an Athlete Speaking Engagement Through Athlete Speakers? Athlete Speakers has been working with organizations for over 20 years to find the perfect sports speaker for their event. Having booked over 10,000 events since 1999, Athlete Speakers has direct relationships with athletes, coaches, sports agencies, and public relations firms to get the best talent fees for our clients. Our experienced team of agents and logistical coordinators will work with your company to find the right sports celebrity for your next event and ensure that the booking process will be successful from the moment you contact us until after your event is completed. Make your next event more exciting by booking an athlete or coach for a speaking engagement through Athlete Speakers. Find the ideal athlete for your upcoming event. Contact us today to start the process of booking a sports celebrity for your next event and make the next event your best event ever!